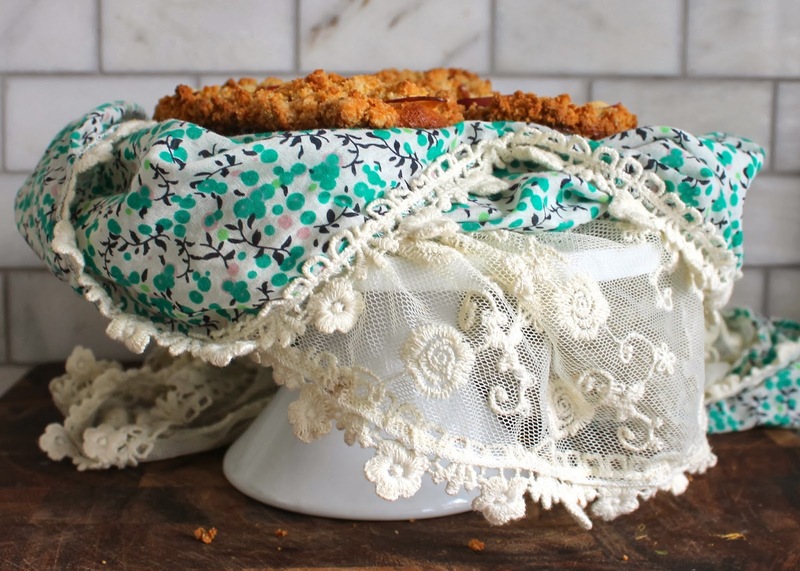 I'm a huge lover of almond extract so I wanted this muffin to feature that sweet, rich flavor. 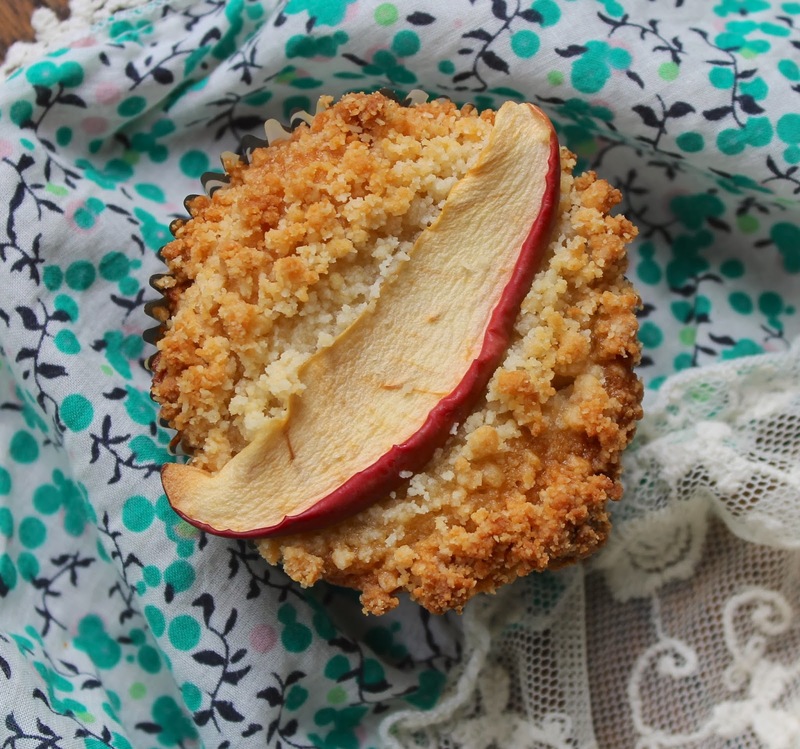 I love the little bites of apple and the crunchy crumble topping. The apple slice on top was decorative at first, but turns out it tastes like a sweet dried apple after it bakes, so that was a win. You could make these dairy free by substituting coconut oil and you could omit the almond extract or replace it with vanilla. 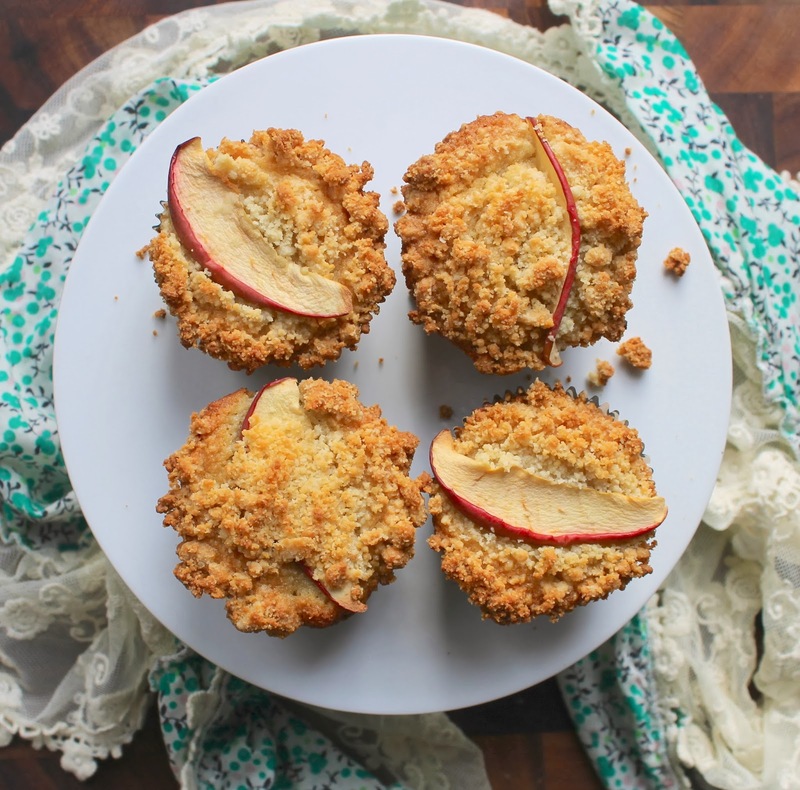 Adding cinnamon in the muffin or in the crumble would be delicious too! Have a good one, and shop for me!